WingChun fighters are trained to be specialists in self-defence at all distances. Physical requirements play a secondary role in this art of self-defence. Because of the highly developed understanding of contact and collision developed through Chi Sao (adhering arms) training, WingChun fighters can immediately adapt to any possible attack. The Chi Sao strengthens the muscles as well as the ligaments and bones. Furthermore Chi Sao trains one to think and act in combination. It identifies and trains various scenarios of contact with the opponent's arms, the goal being to free oneself as quickly as possible in order to proceed to a rapid counter attack. One begins, so to speak, with a contact situation - Chi Sao practice - in order to learn how to free oneself from this contact (the opponent's arms) as quickly as possible. WingChun - a unique system, developed by Grandmaster, Sifu K. Brand, was completed in 1998 . On an individual and intensive path you will discover your possibilities and potential and arm yourself for dangerous situations, and newly acquired, real capabilities will strengthen your self-confidence. 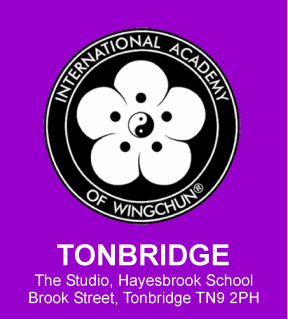 WingChun is the basis for your further development, which you yourself can freely and confidently determine. With WingChun you will learn both to defend and to assert yourself. Create freedom and independence by developing your abilities. For freedom is a fundamental right which makes our life really worth living, and any type of restriction leads to a limitation of our possibilities and achievements and in the end will cost us our health.